Poll results: What does the iPhone 4S miss the most? 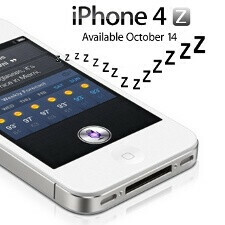 Last week, the iPhone 4S was announced. With the usual craze, outpour of news articles and opinions, but something was missing. That something was the iPhone hype right after the announcement. Apple had been (possibly unintentionally) building momentum by putting off the big unveiling to October, and rumors were raging wild speaking about two iPhones being unveiled, a bigger screen on at least one of them, a huge redesign, thinner body, all those things that makes fans worship Apple. But instead we got a quiet upgrade - you can hardly tell the new iPhone 4S apart from the old one. Sure, inside it’s better with a dual-core A5 processor, a new 8-megapixel camera capable of capturing 1080p videos and some new software including the “world changing” Siri personal voice assistant, which we’re still very uncertain about. So, bottomline is there were disappointments. Last week, we asked you which was the biggest one and here’s what you said. “A bigger screen was a must-have,” more than half of you agreed on. It was the single most expected but missing feature. A dealbreaker? The iPhone 4S has already sold out, so for many - it’s not, but it’s definitely the biggest letdown. Second to that comes the design. Sure, we loved the monolith almost rectangular piece of glass that the iPhone 4 is, but given that Apple is a design-centric company, nearly 20% of you found this to be a big disappointment. The last two features you missed almost as much as a redesign, were a cheaper price tag and LTE connectivity. So what say you, voters, are you getting the iPhone 4S even with all its shortcomings, for better or worse, to love and to cherish till death does you apart? What is with the "must have a bigger screen" How much bigger do you need them to be? If you want big get a tablet. A mobile phone needs to be mobile, not need a laptop sleeve. Well look what we got here. Apparently most people dislike the new iPhone because it still has a 3.5" screen. They want a bigger one! Hey, look what I found!http://www.redmondpie.com/ever-wondered-why-the-iphone-has-a-3.5-inch-screen-this-might-be-an-appropriate-answer/ Too bad, Apple lovers. Too bad. Ha, interesting, ilia! Still that graphic sounds far from convincing - usually when you hold your phone it rests mostly on your fingers (in my case at least). This leaves so much more space for your thumb that I guess one wouldn't have a problem reaching out the other side even on a 5.3-inch handset like the Galaxy Note. lol, thats an interesting point in the article. anyone else notice that the half circle they use for the iphone is bigger than the one for the SGS2? I know right? Remix I agree exactly. I love my Epic Touch not just for the unbeatable exynos processor and gorgeous super amoled plus display but most importantly for the huge 4.5 inch display. Back in like 2008 the iPhone 3G is unmatched thanks to its 3.5 inch responsive display and the best option you had was the 3.2 inch Storm and eventually the 3.1 inch Palm Pre. Sure there was the HTC HD touch at 3.8 but sadly it never made it to the US, not until the HD2. So really it wasn't until the OG Droid we started getting 3.7 inch displays in 2009 to finally rival the iPhones. It had a nice 3 year lead before we started getting 4+ inch displays. Honestly that's why I dropped apple and went to android. A lot of people like myself want the larger displays, easier to type, see, and overall better experience with your touch screen device. I would be very tempted to pick up a iPhone if it had a 4 inch display but I'm very happy with my SGS2 and 4th Gen iPod touch. not exactly ilia1986, this poll shows that the people who voted want a bigger screen. It doesn't necessarily mean iPhone users want a bigger screen. Sure there are some that want it, but then there are others like me who don't mind. This poll definitely does not represent the masses...only 1,788 people participated in this survey. Really? Some of you blind supporters are always ok with 1000 person polls that benefit Apple. I would say 1788 is a pretty good sample size, and how do you know who voted? I wanted the 4" screen, I'm a iPhone user. From reading around the different forums, I definitely think this poll represents what the masses want. I don't get it, why is that guy having such problem with 4" and above screens, I myself has a small hand but I can easily reach the far end of the 4.2" screen of my SE Xperia Arc. . . Makes me wonder how small is that guys hands really are. . . I sort of hope the iPhone does NOT get a bigger screen... this is why I will never buy one of those Android superphones, and although I am not a fan of Apple, I have to admit that the iPhone is designed for easy and simple use. If screen size and overall performance was all I was worried about, and if money was no object, then the iPhone would be my clear choice. Good job spotting that article ilia... +1. No way! I'm getting a Windows Phone. Much better Operating System! People who do not own an iPhone should not vote. A bigger screen? Are you okay?!? Get an iPad if you need a bigger one. This is Apple. Not Lg, Samsung-Mamsung, etc. 3.5" is a perfect size. This is a phone, not a writing desk. 4" is widely regarded to be the perfect mix of ease of use and portability. 3.5" may be the perfect size for you but it's clear that you're in the minority. You must be blind or still in denial, makes me wonder what would be your tone on the screen size thing once the iphone5 arrives ( if it indeed will arrive ). . .
You, sir, are demented. Have you ever even held a phone with a screen larger than 3.5"? I have and it's way better. BUT, yes, it's ALL personal choice dependant. I prefer 4" screens, some prefer 4.3" ones. You on the other hand have very small hands OR you simply can't stop sucking up to Apple. Good day, sir. definitely should of had a bigger screen, even if they increased it to 3.7, they could of left the big 4 inch screen for next year but still made an impact this year. A bigger screen? Steve Jobs said "no one wants Hummer phones". 4G LTE? There goes the battery life iPhone users always gloat about. I think a lack of a redesign is the main reason for the disappointment. People like new looks and change; without this, the "new iPhone" will just feel old and outdated. Convincing indeed, Illia! Remix, the circle on the iPhone is bigger because the phone is shorter and less wide in the hand. And as Victor says, much of a phone will be in the fingers when held. So a bigger phone, with a bigger screen such as in the case of the SGS2, crosses quite a bit of it's body to a greater part of the hand. This results in your thumb reaching a lesser radius of the screen hence the smaller circle.